The CR-130Rf features a 24 metre, six section boom with a two stage, 3.6 to 5.5 metre hydraulic luffing jib. 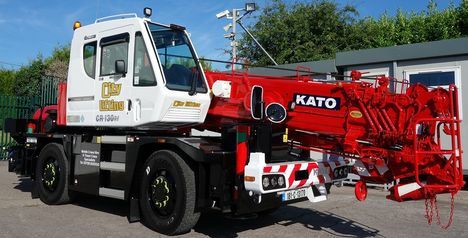 The new crane was sold and delivered by Kato's European distributor Rivertek Services, and takes the number of Kato cranes in the company’s fleet to five units. Based in Essex, City Lifting's fleet consists of All Terrain, city type, spider, mobile tower, truck and mini crawler cranes, plus up to 125 tower cranes.